than other Asian tourist traps. 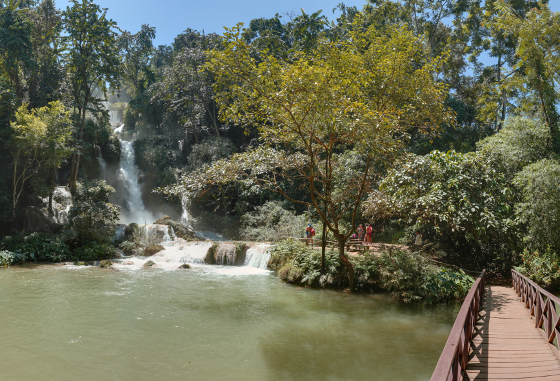 From being the most bombed nation in the modern era to becoming the most relaxing hideaway destination and grooviest place for anyone looking to lose track of time, Laos is a mountain hideaway secret that few know of. Most would think of the country as a backwater, landlocked communist enclave trapped between Vietnam, Thailand, China and Myanmar. 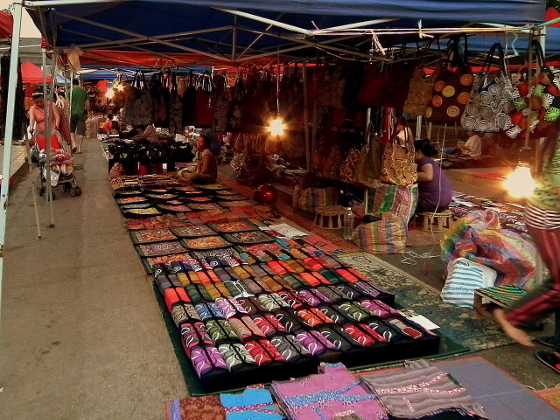 urban centers like Vientiane to most of the local mountain villages. But Laos has transformed into one of the most laid back, yet sought after holiday destinations for people wanting to literally be off-grid or in the middle of nowhere--mountain country vestigial communities like a nature preserve where backpackers can plunk down and just kick back--forgetting that the world is a rat race and urban nightmares. Think of the whole Laos countryside as a whole nation of smaller Baguio-like enclaves scattered around and plenty of smaller rural mountain villages just a few hours away on mountain sprawl as far as the eye can see. people around urban centers like the capital city of Vientiane. Enterprising published authors organize zen-style, writers retreat-adventure tours of the Laos urban centers and the most accessible mountain sprawl communities for quiet time writing your life's work of a novel with Yoga sessions on the side. Let's look at what's in store for you as a traveler from the ASEAN integrated community. Other privateers looking for a fresh start in new territories might be look at Laos as a wide open place for keeping the beauty of secluded and green mountain quiet a major business venture: one that guarantees great rewards for both the local communities and visitors wanting to experience a Laos spiritual retreat. The capital of Laos is a real city too. It is romantically called the "City of the Moon" or the "City of Sandalwood," depending on the local Buddhist folklore or French historical accounts you look up. Vientiane is a relic of the French colonial era, a quaint yet leisurely small city trying to stay alive in the quiet living of the past while other ASEAN neighbor cities (Ho Chi Minh, Bangkok, and even Phnom Penh) are embracing gentrification via neon lights and crowded hyper-development plus migraine inducing vehicle traffic. Vientiane has a population of only 760,000 as of 2015 and is one of the major jump off points to the mountain community villages backpackers flock to as well as other urban centers in Laos where the visitors resupply after partying in some of the more enterprising tourist spots--three and a half hours north of college-party fave village: Vang Vieng. The Mekong river separates Vientiane from neighboring Thailand. Laotian cities are not the megalopolis bustling rat race engines its neighbor ASEAN cities are striving to be. At least not yet, and everyone hopes they can foster development without turning into a cliche the way most modern Asian urban cities have transformed themselves trying to emulate Western standards of living. 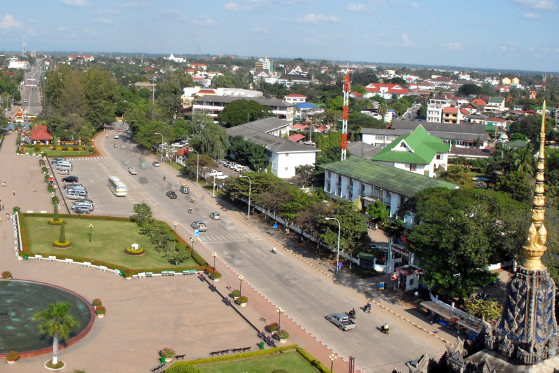 Vientiane and other Lao cities at best resemble quiet University towns like Los Banos in Laguna or small U.S. college towns but in a French-inspired setting. Vientiane is a maze of temples and colonial French-Lao structure. There are local street food tours ($70pp) get you through the spicier flavors of the Thai and Khmer-inlfuenced spicy cuisine that includes everything from spiced raw game-meat dishes, seafood or beef noodle soups, yoghurt varities, up to the much hyped fried insects. Luang Prabang--is the gateway to most of the tourist party places like Vang Vieng, actually a quiet city (56.000 residents) where rowdy backpackers resupply and nurse their hangovers. In 2001, only 30 percent of Laos as a country was connected to the power grid. With nearly 70% of Laos diverse population living in remote mountain villages and other rural areas, the Government of Laos and private sector partners like Sunlabob Renewable Energy deployed off-grid renewable energy solutions throughout the countryside: 10,000 solar home systems were installed among village mini-grids. The country's power grid today is a mix of solar, small-hydro and biomass energy and 7 out of 10 citizens now have access to electricity. The mountainous haven of Laos as a country is actually better off not being overdeveloped and polluting their environment because the place is attracting visitors who want to experience off-grid solitude in as remote a hideaway as they can that is still a stone's throw away from resupply areas. Improving the state of off-grid power and micro grid power should be an opportunity for businesses that offer survival gear and water filtration equipment. Builders for green tech--earthship styled homes or modern and innovative small home design using indigenous and recyclable materials can make good helping the locals improve their lives and even homestay domicile offerings--without disturbing the cultural and environmental footprint of Laos ethnic communities. 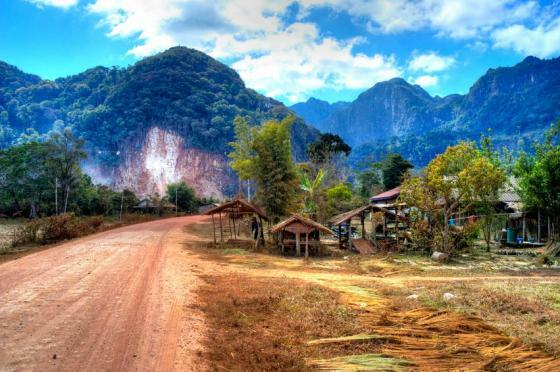 The Laos countryside is a mountainous sprawl of rural enclaves with various ethnic communities scraping by with backyard surplus agriculture, small town trading, and assistance from the government. Homestay programs for hermit holiday backpackers are popular and encouraged by the local tourism body. The Lao mountain ethnic villages are not so different from Filipino rural villages like the Lumad but their entire country IS a rangy, mountain preserve. Check out what's available at one of many enterprising homestay rural locations for backpackers. Although subsistence agriculture can be difficult during periods of poor harvests, there hasn't been anything like country-wide food scarcity. The rule of the French over the Khmer nations in the past from Vietnam to Laos, has infused strong French culinary traditions from good bread and strong local brews and old neighborhood towns so charming they look like some French village straight out of a fairy tale. Several writer's retreat tours have already been held with the Laos mountain homestays as part of the package along with the requisite tours of Buddhist temples and ancient stone fortresses. 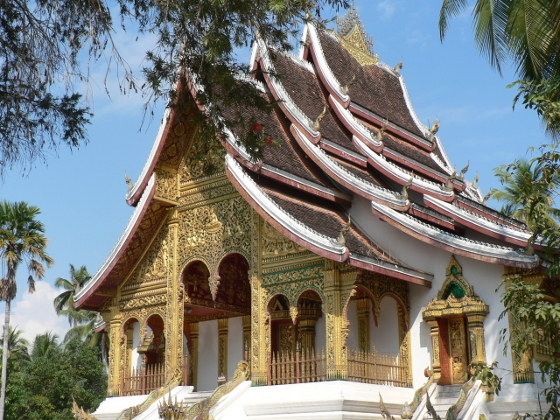 Any kind of zen experience travel or business opportunity would be best served by a Laos side trip, homestay or even a tech start-up in quiet town. of nowhere, homestay destinations for backpackers. Lao cuisine is as diverse, healthy and delicious as Vietnamese and Thai--or its heritage Khmer-French tradition. The locals prepare fresh food similar to Thai and Vietnamese cuisine with some French inspirations--bread and strong coffee. Meat is a much-loved dish which the locals prefer as freshly-killed game or livestock that is heavily spiced like the Filipino kilawin dish, or smoked with those flavors imbibed into the dish. Homes in the mountain villages have backyard gardens to sustain their daily needs along with homestay holiday backpackers helping them earn extra. 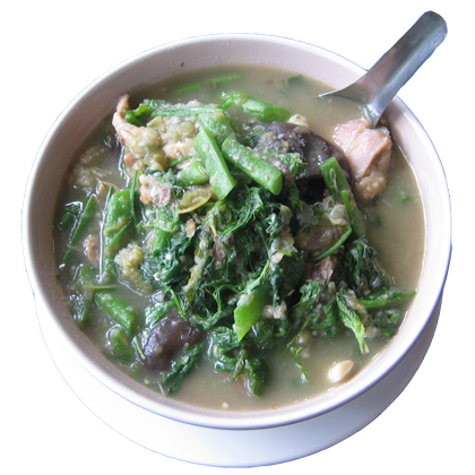 Most local ethnic dishes are a fusion of vegetable salads with spiced meats that even make for delicious street food or comfort food like local ethnic cuisine is like in other ASEAN countries. For travellers looking for that middle-of-nowhere party place in the ASEAN without the dangers of seedy red light districts, the mountainous retreat of Laos offers plenty of good and decent places to rock your socks off with just quiet riverside towns where you can jump off the dock and enjoy a good swim, get bombed on precious Yamazaki whiskey (or cheap local beer) and blast the drum-and-bass out of your boombox. Writers and creative people looking for a respite to recharge and enjoy downtime quiet solitude can check out the homestay and writers retreat tours offered with Laos as their primary destinatiion. It is not a Salvation Army volunteering kind of escape (even though that also works), but a chance to look at yourself and figure out how to put things together in awesome mountain country where Asian gibbons and the rock squirrels figure things are just fine and dandy. Quiet time you might want to have moving in with good people for longer than just a retreat or a week-long party. 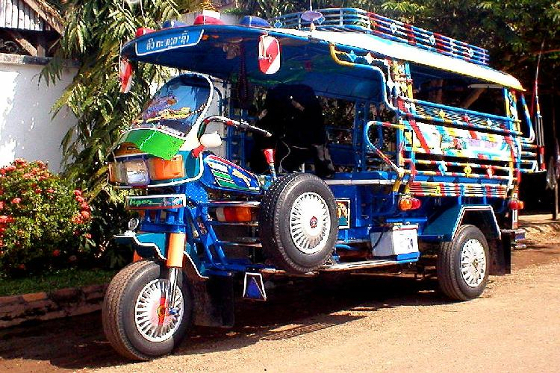 Only in the ASEAN integrated community of Laos.